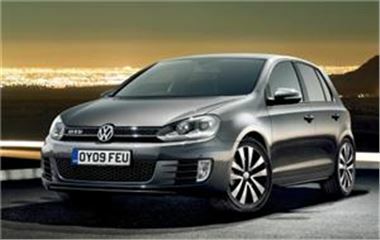 Motorists looking at buying a diesel-powered car may welcome the news Volkswagen has released prices for its upcoming Golf GTD model. Due to arrive in showrooms across the UK from June 22nd, the vehicle will be available from £21,850 for the entry-level three-door, six-speed manual edition. Those who would prefer the five-door version of the car will be required to pay a £585 supplement and motorists who want an automatic gearbox will need to stump up an extra £1,305. Boasting carbon emissions of 139 g/km, the Golf GTD is capable of achieving 53.3 mpg. Meanwhile, its 2.0-litre common rail TDI engine allows it to go from standing to 62 mph in 8.1 seconds before hitting a top speed of 138 mph. Buyers who are interested in the vehicle can order it immediately. In related news, the Volkswagen Golf recently drove away with the 2009 World Car of the Year title.